Transparent rainbow Siam ruby seed beads. These beads are in a lovely red colour, and have beautiful rainbow shine to them. 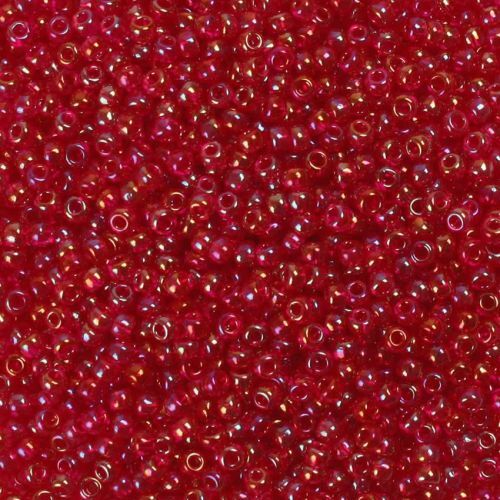 These Toho beads are perfect for a range of jewellery and arts and crafts projects. They come in size 8and are made in Japan. CommentThese are a lovely colour - exactly what I needed. CommentGreat product, I can't wait to use this. CommentLarger size, will enjoy using these.